If you followed the steps in Self-Assessment/Treatment Strategies for the Ankle and haven’t found any issues with your ankle dorsiflexion range of motion, then it is pertinent you look above the knee at the hip joint. There are several issues that may cause a dysfunctional hip which causes knee pain. First we must consider stabilizing musculature. Before the hip functions optimally, the pelvis must be stabilized and that takes reflexive core stability. And realize, I’m not talking about that conscious “pull in your belly button,” “squeeze your abs” type of stability. I’m referring to the kind that happens without us having to think about it. This reflexive control is essential throughout the body in order to provide a stable environment for our joints to access their full range of motion and proper function. I like to think of it as using a slingshot… Imagine shooting a slingshot while barely gripping the handle. It’s obvious you will barely be able to pull the elastic back and shoot far. Then imagine gripping the handle as strong as you can. You can now increase the amount of tension and stretch on the band, giving it more opportunity to be shot farther. This stability and control is similar to the relationship between the core muscles, pelvis, and hip function. A great way to test your reflexive core stability is to perform a modified push-up with your hands placed slightly higher towards the head than usual. This position lengthens the lever arm and amount of stress on the core, which relies on a greater degree of stability to maintain the plank-like position. **Note: It is possible for someone with less upper body strength to have difficulty. Now that you have an idea of whether or not your core is firing in an anticipatory fashion, we can take a look at the hip itself. Two things we must consider when looking at proper alignment and function of a joint is not only the stabilizing musculature and motor control, but also the joints range of motion. In this case, in order for the hip to prevent adduction (falling inward and thus collapse of the knee), we must have adequate hip internal rotation. Stability in the body happens naturally when placed in a proprioceptively rich environment. 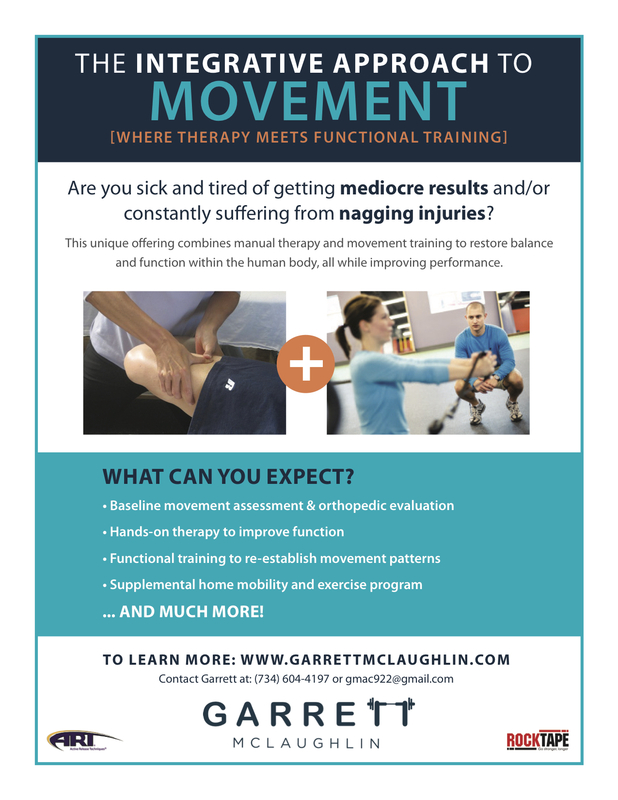 Unfortunately, tight and restricted joints are far from proprioceptively rich and lack the information needed to correct position and alignment. To test hip internal rotation try the following test while seated on the edge of a table. 35 degrees is considered normal when looking at this range. **Note: It may take the assistance of a friend or a goniometer to accurately determine the amount of motion, but a rough estimate is usually enough to notice any gross restriction. Lastly, after core stability and hip internal rotation are investigated, we can look at motor control patterning. This is the usual first suspect for many people when they see the knee collapse inward, but it is usually my last step when identifying/correcting the problem. After discerning if the previous tests are an issue, take a look once again at your squat and lunge movement patterns. Do you still notice that the knee collapses inward like the videos below? Now that we have made it far enough to determine which, if not all of the 3 tests reveal problems, we can now provide specific interventions to fix these issues. Implementing the following exercises in the following order will target the core in a reflexive manner. Focus on mastering the first before moving on to the second. Improving hip internal rotation can be done in a variety of manners, but I included two here that are fairly easy to complete. Improving motor control and the reflexiveness of the hip stabilizers can be accomplished using Reactive Neuromuscular Training (RNT). This type of training utilizes a stimulus to exaggerate the wrong position causing the proper muscles to fire and restore the proper neural pathway. The exercises below are how to add RNT to your basic squat and lunge patterns which were problematic to begin with. After all that information, I’m hopeful I was able to open your eyes to areas which may have predisposed you to knee pain. If all you got out of these articles is that knee pain can be caused by much more than specifically the knee joint, I have accomplished much of what I set out to. Please realize it is very difficult to provide the necessary information on evaluating the body since these skills take years of learning and application. Best of luck to you in your journey of pain-free movement. And, remember the site of pain is not always the source of pain.